All new Finnish made outdoor products are rare. Especially interesting and well working ones. 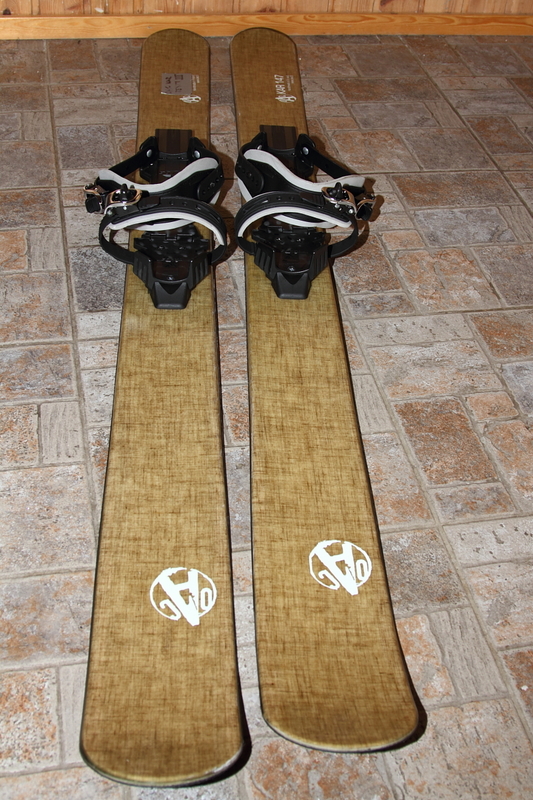 This post is about one of the gems: OAC Kar 147 backcountry skis, or fastshoes, i.e. something between a snowshoe and a ski. 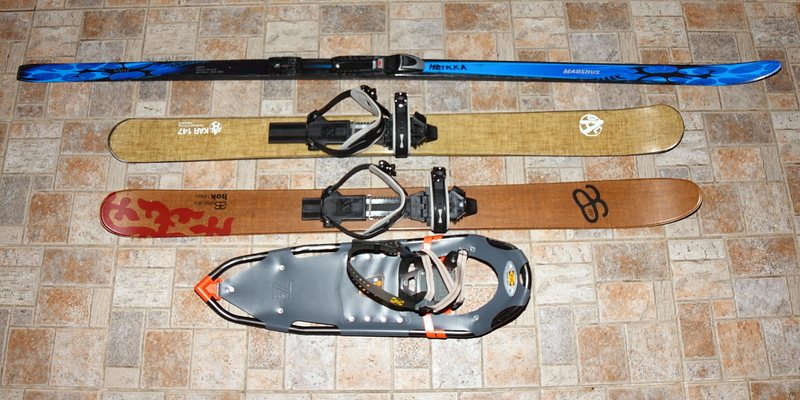 In the post there is some background information, some numbers, my initial impressions and comparison to the Altai Skis Hok 145 the “original gliding snowshoes”. 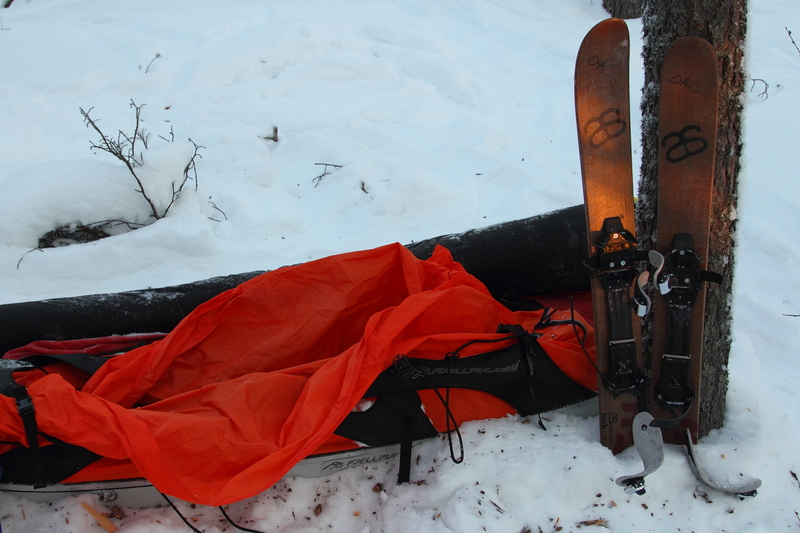 OAC Kar 147 – the gliding snowshoe goes backcountry ski? Not a ski, not a snowshoe but something in between. Natives of the Northern areas have always used also shorter skis with climbing skins for certain needs and inspired by the short skis of the natives of the Altai mountain the US-based company (with production somewhere overseas) introduced the Altai Skis Hoks: 125cm and 145cm long short and wide skis with permanent skin inserts. I had a pair of the 125cm model for test and published my initial impression on the blog about a year ago. In short: I liked them a lot. Loads of fun and good tools for forested areas in winter. The Finnish importer of the Altai Skis is OAC and they wanted to change some aspects of the skis which soon lead to the birth of two updated skis based on the idea of the Hoks. The OAC still imports and sells Altai Skis Hoks but now they also produce and sell their own skis: Hok 145 like OAC Kar 147 and more XCD-ski styled OAC TAO XCD 160 – both designed and made in Finland! The TAO XCDs I wish to test later this winter when OAC gets the production running but this post is about the Kar 147. The OAC skis are marketed as “backcountry skis” and the Altai Hoks as “original gliding snowshoes” and this seems to be somewhat true when comparing the Kar 147s to Hok 145s: the latter are a bit closer to snowshoes while the first are a bit more ski-like. Both are still in a category of their own being very short (for a XC-ski), quite wide and having permanent skin inserts. Tools for travel: Madshus VOSS 205cm, OAC Kar 147, Altai Hok 145 and Atlas 730. Dimension-wise the OAC Kar 147s are quite close to the Hok 145s. The Kars are nominally the 147cm long and the Hoks 145cm long. The width is about the same (measured without any precision instruments): 128mm – 110mm – 122mm for the Kar and 124mm – 110mm – 122mm for the Hok. Both have also permanent skin inserts, full steel edges, a bit of camber, nicely raised tip and also some raise in the tail. – Different tip and tail design: The tip of the Kar 147 is wider and doesn’t raise as much as the tip of the Hoks. – The Kar 147s are also little bit wider on the tip, only about 4mm but wider anyway. – And (something I consider important) the Kar 147s have about double the camber the Hok 145s have, when you strap the Kars together they fit a standard match box between them easily, the camber of the Hoks is about half of that. Both feel about equally stiff though the Kars have more initial flex before stiffening towards the end when being pressed flat against hard surface. I assume this is because of more camber providing a longer flex range. The Hok 145s weight 1892g per ski with the X-Trace Pivot bindings . 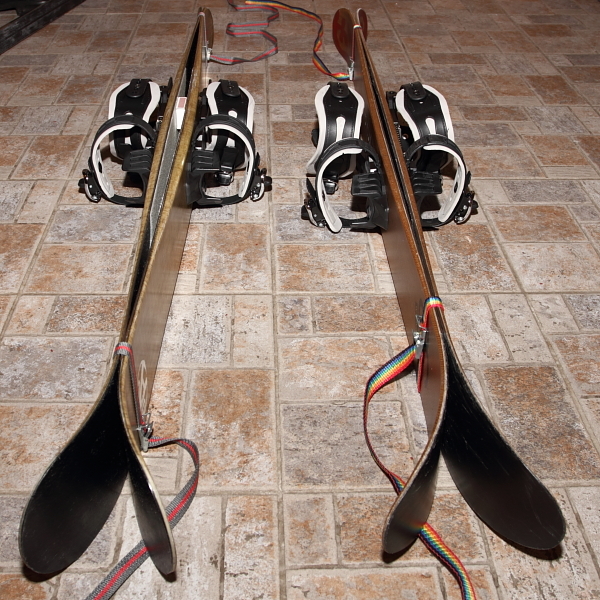 The Kar 147s weight 1790g each with the same binding meaning the Kars are 100g lighter per ski. They are listed to weight 1150g without any bindings but as mine are clued on so can’t check. N zig-zagging up about 25-30 degree slope. She hates steep stuff on normal skis but is quite comfortable with the Hoks and Kars. I’ve skied around in gently rolling forests and flat swamps with deep soft snow, pulled sled on the track and off the track, climbed 25-30 degree slopes with soft snow and skied them down doing turns with my bad technique – and had fun all the time! And that is what the Hoks and Kars are about in my opinion: fun tools for winter travel. 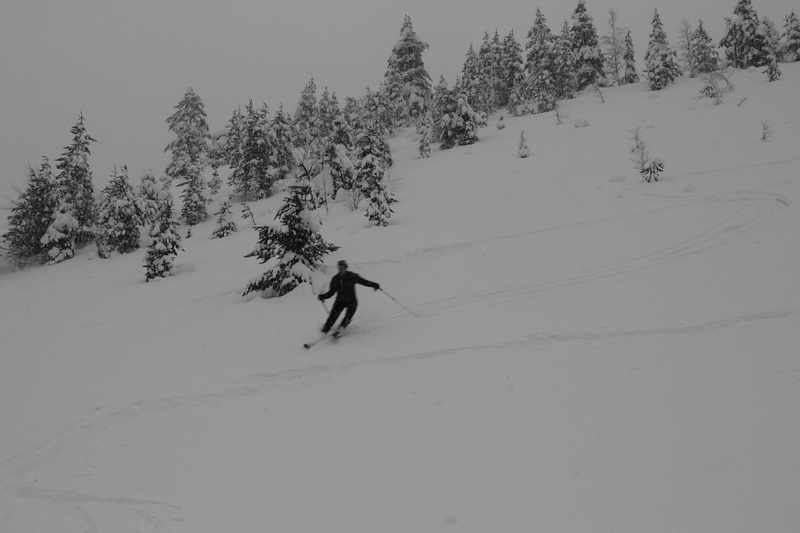 … and trying some telemark on the way down. And coming down again. Damn it’s fun! The Hok 145s feel and act like the Hok 125s but being longer there is more surface area and thus they provide better floatation, a nice feature for someone in my weight class or if using them with a heavier backpack. Being only 145cm long they are still very agile in my opinion, basically just as agile as the 125cm version. (Take into account that I’m 186cm, for considerably shorter people the shorter version might feel more agile.) And as the binding is moved in front of the balance point the Hok 145s distribute the weight quite equally and thus sink in the snow in horizontal position instead of going “tail first”. 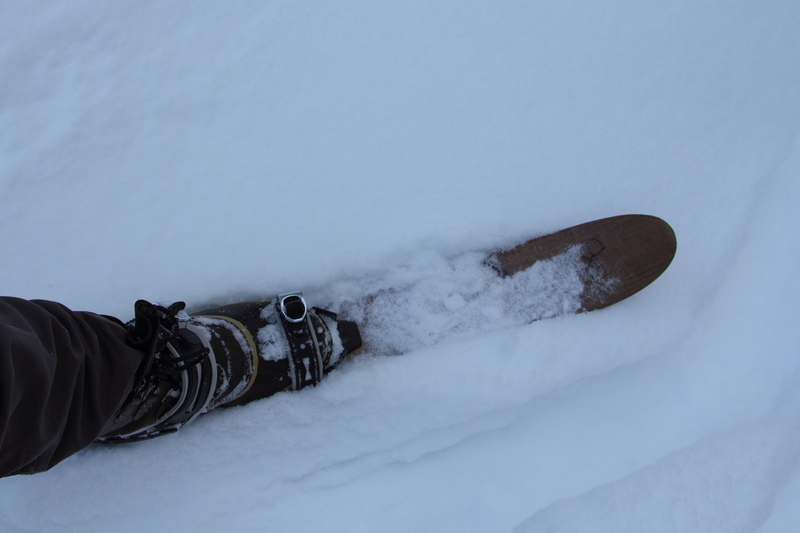 The binding placement also gives them a bit more snowshoe-like feeling when compared to normal skis, or the Kar 147s. The Kar 147s feel a bit more ski-like than the Hok 125 and even more than the Hok 145s. They track better on hard surface and are easier to control when going downhill but as a downside the tail of the ski sinks deeper than the tip in certain conditions (especially on soft snow on top of almost supporting layer of crust). I think this is because they have more camber and mostly because the binding is placed into the balance point as on normal skis. The advantages are clear and the downside is familiar for most people who use skis in similar conditions meaning that most can live with that but for some it might be an inconvenience. The wider and flatter tip and tail work just as well as the more tapered and higher raised ones of the Hoks: the tip jumps on top the soft snow when gliding the ski forward and you can do 180 degree turn on hard surface just as easily as with the Hoks (but in both cases the skins stop you instantly and damn near knock you over). 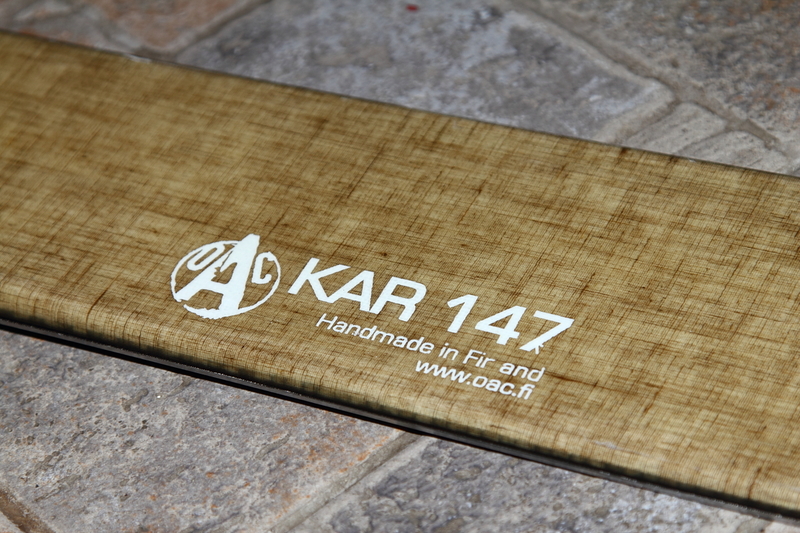 The Kar 147s also have slightly smaller skin insert which (according to the people of OAC) is made of higher quality material and thus it should give the same grip with less friction but as the test pairs I had were of different age, I can’t verify this. Both provide easily enough friction to haul a 60kg sled on hard surface, easily enough grip to navigate in soft snow on gently rolling terrain but not enough grip to push directly up 25 degree slopes with soft snow, those have to be zig-zagged up. The grip is naturally better on hard surface. “They work and they are fun. They are very maneuverable and provide decent good floatation. Which ones you prefer, is up to you. In Finland the OAC Kar 147 are available from the usual suspects like Partiokauppa (399eur with bindings, not in stock) and SOS (419eur with bindings, in stock. The best price I’ve seen this far, and the only retailer listing the Kar 147s also without bindings, is from Hiking Travel HIT at Ylöjärvi (near Tampere) who has them for 285eur without bindings and 390eur with the X-Traces. Disclaimer: The nice people at OAC Finland lended the skis for me for test on request but with no obligation of reviewing them. And unfortunately I have to return them. Generally I’m against initial impressions and support thorough long-term reports but occasionally there are good reasons also for writing about initial impressions. And I think, this is one of those occasions as the Altai Hoks are relatively new product and the best season for using them is under its way at the moment. 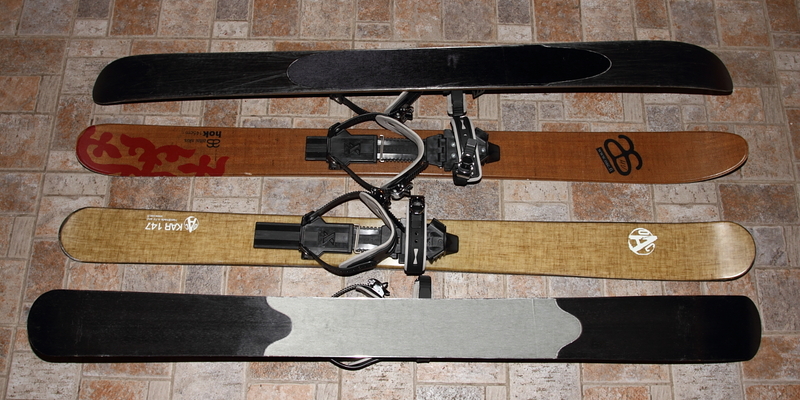 So, here are my initial impression of Altai Hok 125 skis with X-Trace universal bindings. As I weight nearly 100kg I wished to test the 145cm long version but none were available for test (and I don’t think any are available for purchase either, at least not from Finland). The tools of choise for the initial testing. Well, they are not exactly skis in the traditional Nordic meaning of the word but the Hoks are closer to skis than to snowshoes so lets call them skis for a while. The Hoks are 125cm long, erm, short and about 12cm wide and relatively light making them very maneuverable. Those interested in numbers can check Dave C’s posts: Altai Hok: by the numbers, Tools; choices (for comparing different options) and The 145 Altai Hok (for those interested in the longer option providing more floatation). 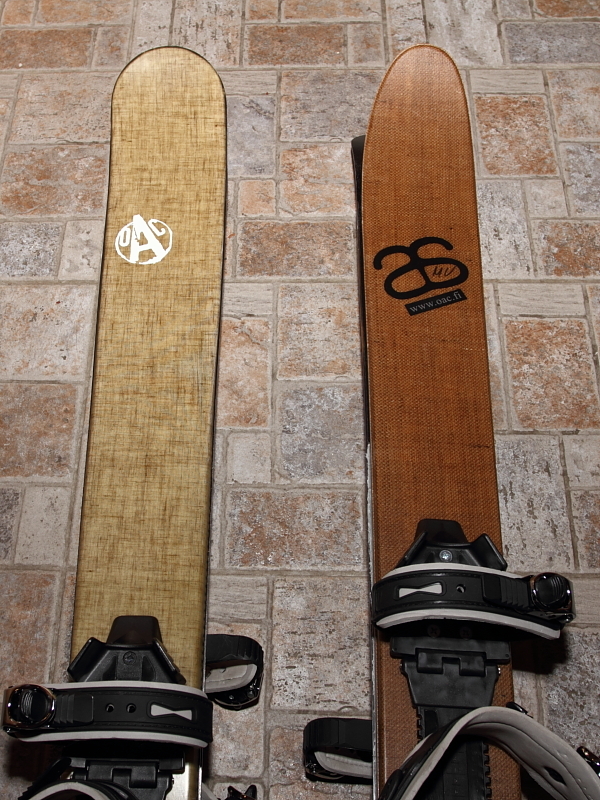 The skis are built with wood core covered with fiberglass mixed with organic materials. The bases are smooth sintered polyethylene (the typical ski base stuff) and have a large glued-on skin insert in the middle and are finished with 3/4 steel edges. The skis have metal screw inserts for the standard 75mm Nordic Norm bindings (with three inserts for a heel pad) and thus also fit the X-Trace binding and there is an adapter plate for NNN BC and SNS BC bindings. There is not much camber and it might not even work with very short skis like these. The tip has a generous amount of rise that lifts the ski on top of snow by just pushing it forward (no need to “walk”, it’s more of a motion of kicking and gliding but without much glide because of the skin) and there is also some rise in the tail. The little side cut and raised tip and tail makes then turn super easily on down hill! The skis and the sled in camp near Patvinsuon National Park. The Hoks are often sold as a package with the X-Trace universal bindings. The word “universal” means that you can use them with about any boot or shoe that has relatively flexible sole (so a no go with plastic ice climbing boots and similar). The X-Trace is a Finnish design binding that uses snowboard binding style straps and flexible base plate. The toe strap is mounted on a fixed front piece and another strap wraps around the ankle and is mounted on a heel piece that can slide on the flexible plastic plate to adjust the size. The size i.e. the length can be easily adjusted on 8cm range which wasn’t enough for my size 46 Sorel Caribou boots but there was plenty of extra space on the flexible plate so making extra notches for adjustment wasn’t a big deal. I recognize that the binding should fit size up to 46 hiking boot without any problems (manufacturer claims fit with EU sizes 35-47,5) but the big Sorels were a bit too much and felt lined Sorels larger than size 47 or 48 are simply too big even with extra notches. The straps were barely long enough for the Sorels but for even bigger boots, there are extra-long straps available as accessory. I’ll write more about the bindings when I have more experience with different footwear. I’ve had the skis only for a bit over a week now. 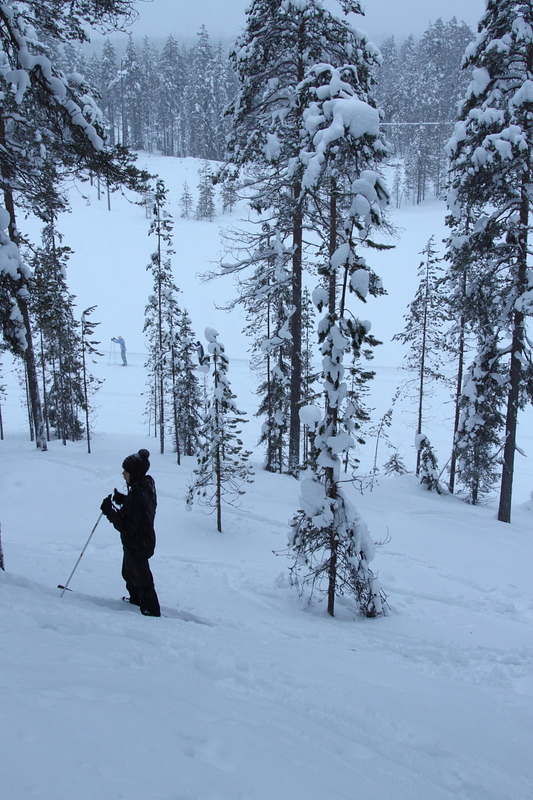 I’ve used the skis on a short test run in the backyard forest and on four-day winter trip near Patvinsuo National Park in Eastern Finland. On both occasions I was wearing size 46 Sorel Caribou felt lined boots. On the short test run I was looking for the wort possible ground without a backpack or a pulka. 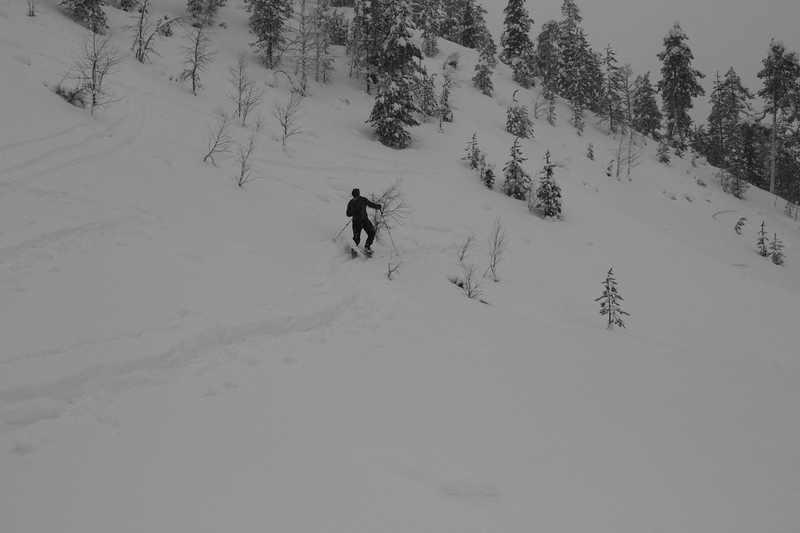 I crossed blown down trees, ditches, climbed over some big rocks and pushed through dense forest.The skis proved to be very agile and maneuverable and on steeper down hills they glided nicely and on safe speed but on subtle slopes the skin inserts prevent real down hill skiing. Floatation was quite good but there wasn’t that much snow for a real test, maybe some 30cm. 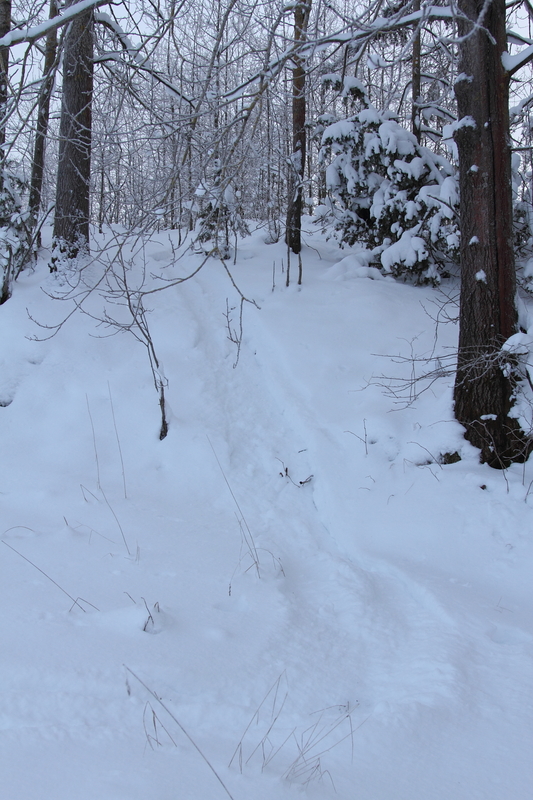 A swift little down hill on the test run: easier and faster with the Hoks than with snowshoes or traditional long Finnish skis. On the four-day trip I was pulling a Fjellpulken Explorer 168 sled weighting something over 30kg fully loaded. 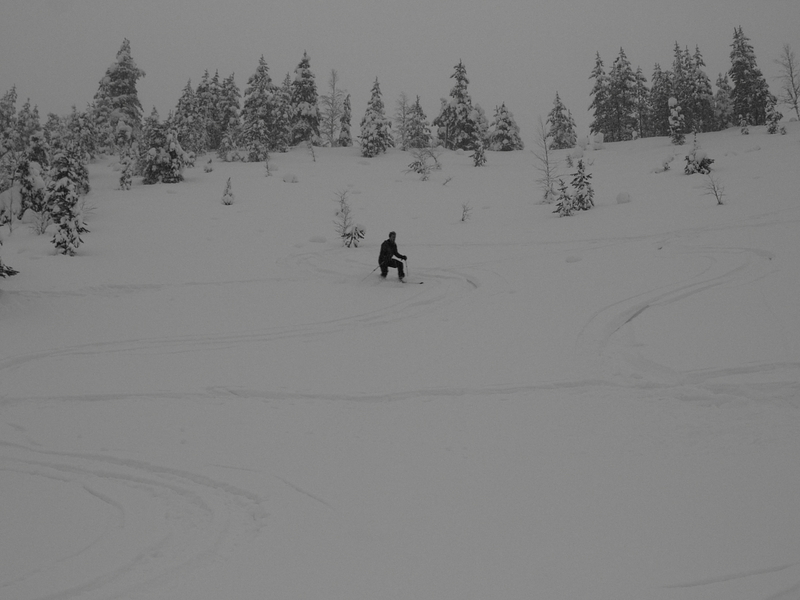 The terrain was varying but mostly we skied on small lakes, swamps and in woods. There were no big hills but occasional little slopes, banks on the shores, ditches to cross and one fucked up boulder terrain. 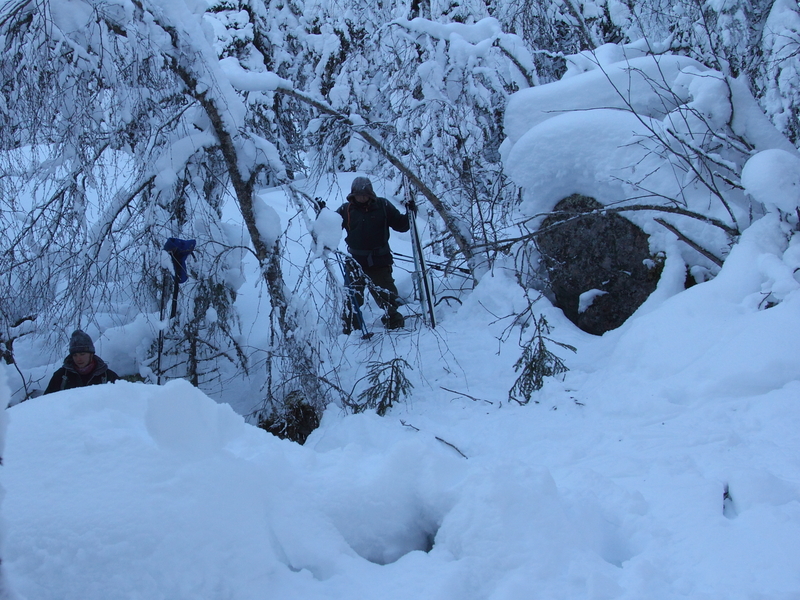 Other people on the trip were using 225-280cm long traditional Finnish forest skis and the Hoks turned out to be a lot more maneuverable in the woods and the skin inserts provided plenty of grip for pulling the pulka and tackling little obstacles on the way. The down side is that on good open terrain they are slower than long skis because of the skins but they are still a lot faster than snow shoes. The floatation was decent even though there was occasionally over half a meter of snow. The tip rises really nicely on top of the snow by just pushing the ski forward. I recon that the 145cm model would have been better for me providing more floatation. The weather on the trip was also frigging cold with lowest skiing temps being -36C. It is advised that the bindings should not be used in temps lower than -30C but not skiing wasn’t an option and the bindings coped the use well. Fucked up place to go with a pulka. Here shorter skis make easier going. They work and they are fun. They are very maneuverable and provide decent floatation. The Hoks seem to be sort of go-anywhere-do-anything tool but such things come with compromises. In my opinion the biggest compromise with the Hoks is the permanent skin insert which slows them down though also adds to the agility of the skis. It might be the only sensible option for skis like this but I’d really like to see a version with fish scale base and detachable skins (like the Madshus Intelligrip but a lot wider) or skin inserts (like the ones Åsnes has). The bindings are also quite a compromise. I like the ability to use any kind of footwear with the skis but they were not especially convincing, convenient or light weight. But untill I get to use something better I’m happy with them. The Icetrek Flexi bindings seem like an interesting option but they are quite expensive. – Traveling in dense woods, especially with lots of soft snow. The maneuverability is invaluable and floatation good enough. – Shoulder season trips when there is still some skiable snow left or you are expecting year’s first heavy snowfall during a walking trip. – Hunting, photographing and doing other things that require agility and maybe occasionally going without poles. – Having fun! Hoks are fun and provide a good way to have some exercise in the backyard woods or to tread trails in the deep snow around the house or a cottage and so on. As I saind the Hoks are not skis in the traditional Nordic sense, neither are they snowshoes. Based on the snowshoe = slowshoe word play the Hoks are often called fastshoes which is very apposite name in my opinion. 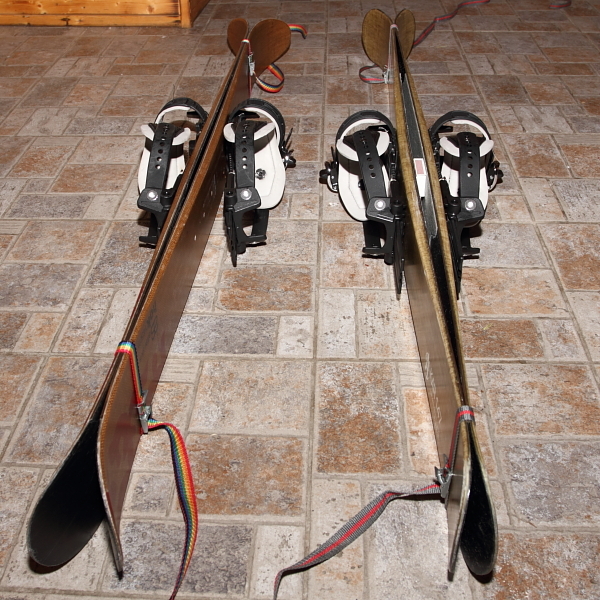 My friend translated fastshoe to “vauhtikenkä” in Finnish and I’ve called them “pätkäsukset” (shorty skis). In my opinion Hoks do good job replacing snowshoes unless you are heading to very steep hills with hard packed snow (say hiking up for some off-piste snowboarding or climbing a mountain). They are agile enough for gathering fire wood, moving in and around camp, for hunting in woods, etc. From my point of view the Hoks could also replace long traditional Finnish forest skis if loosing some speed and ease of going in easy terrain is tolerable. The floatation is good enough and when hauling a sled the extra grip is nice. The Hoks could even replace steel edged fjell skis but that would mean loosing a lot of speed so I wouldn’t personally go there. 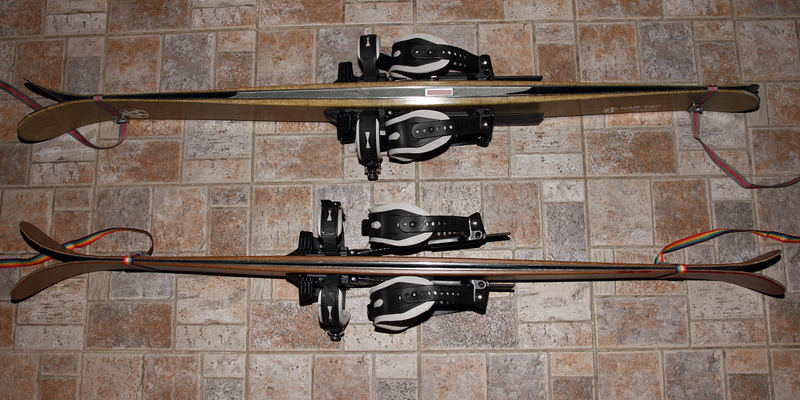 But if I could have only one pair of skis… I might nor have skis at all. I’d have fastshoes, the Hoks. The 145cm version seems to be out of stock every where in Finland though I heart that there might be some available at Kalevan Prisma in Tampere. The 125cm version is readily available from the usual suspects like the Varuste.net that sells them with X-Trace bindings for 295 euros. Disclaimer: The nice people at OAC Finland (the importer and distributor of Altai Hok skis and X-Trace bindings) lended the skis for me for test on request but with no obligation of reviewing them.